Following on from last week’s Riverwatch in which I outlined an idea for closing off Walton Lane at the Walton Bridge end that was put forward by Doug Myers from Weybridge, I’ve had a note from Nick Pollard, the chairman of the Sunbury and Shepperton Local History Society. Nick says: “I’m afraid your correspondent Mr Myers is mistaken in his view that the Walton Lane junction with Walton Bridge is of recent origin. Nick very kindly sent me the photo here showing the bridge and its approaches taken in the 1920s. 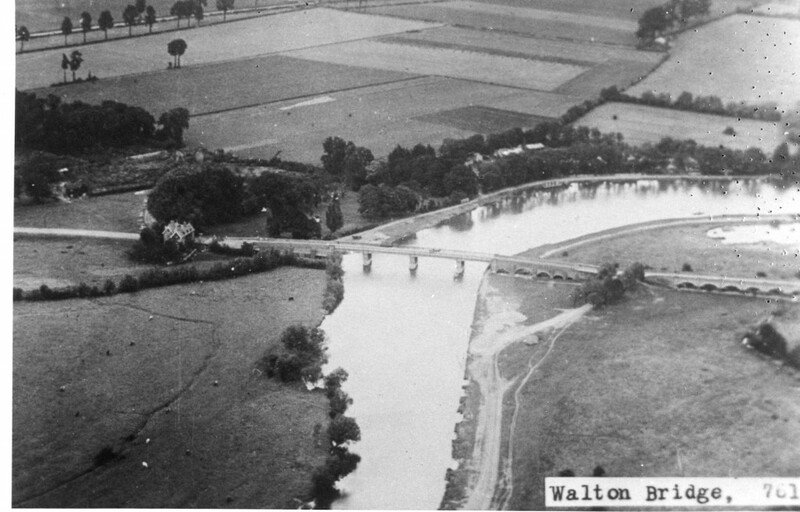 Nick is producing a book called ‘ The History of Walton Bridge’ which the society aims to publish in time for the opening of the new bridge at the end of June/early July. Nick is giving a talk for the society on Tuesday, May 21 entitled ‘Sunbury and Shepperton from Above’, which will feature 50 aerial photos of the area from the 1920s onwards, including many of the riverside. It will be held at Halliford School at 8pm. For more details, visit the website at www.sslhs.org.uk. A COUPLE of weeks back, I wrote about the Environment Agency’s decision to hold fire on any further letting of lock keepers’ cottages for the time being which prompted a call from the chairman of the Sunbury Court Island Residents’ Association (SCIRA) who takes issue with the EA’s claim that the Thames is a ‘slow reacting river’ in terms of level rises. The gentleman (who did not want to be named) pointed out that on Christmas Eve last year after a period of heavy rain, the river started to overtop the banks of the island, which houses 30 properties. He said: “We received no flood alerts even when the water started to flood our gardens and by Boxing Day, the water had covered the central path that runs along the spine of the island to a depth of 15 inches. FANCY trying your hand at sailing? 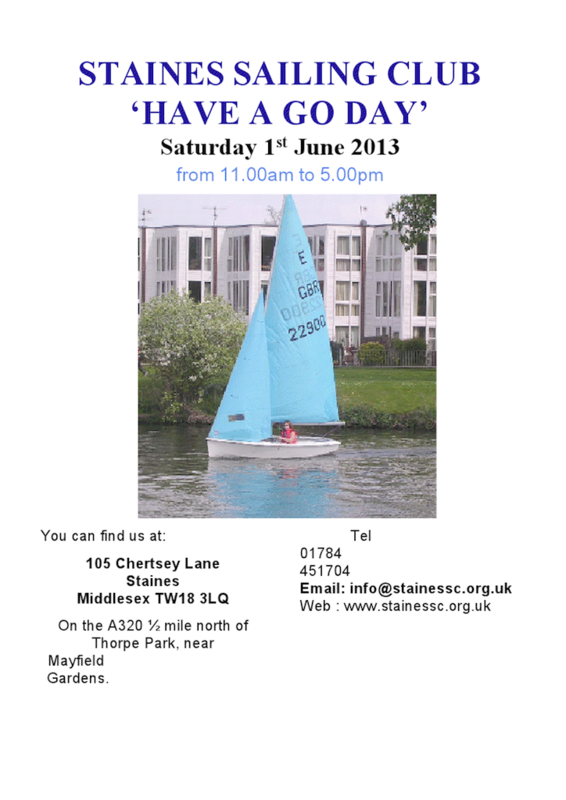 Get along to Staines Sailing Club at 105 Chertsey Lane, Staines on Sunday June 1 when the club is holding a ‘have a go’ day. It’s free, life preservers will be provided and all you need to bring is a change of clothes and suitable footwear. I guarantee you’ll receive a warm welcome from this friendly group and you might just discover that sailing is tremendous fun. For more information, visit the website at www.stainessc.org.uk.